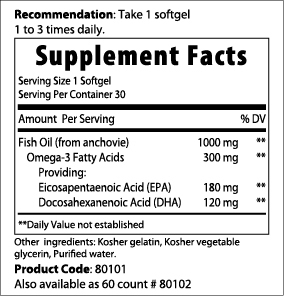 FISH OIL is the highest quality oil – guaranteed to contain 18% EPA and 12% DHA. Supportive research shows that consumption of EPA and DHA Omega-3 fatty acids may reduce the risk of coronary heart disease. 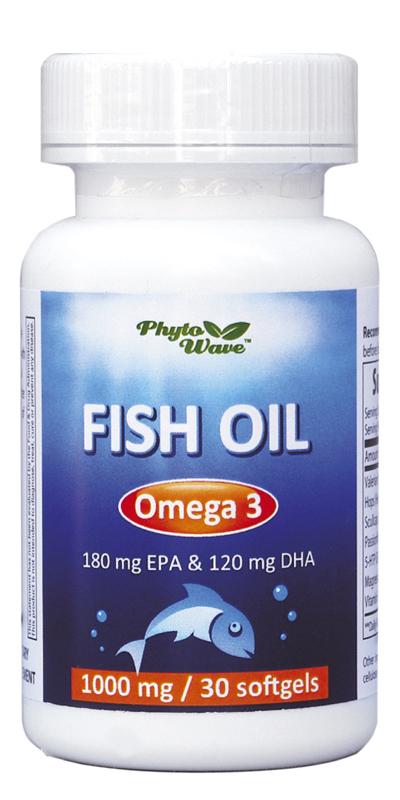 Omega-3 fatty acids also support healthy skin, eyes, joints and brain function.